Born in 1891, Gio Ponti did military service during the First World War in the Pontonier Corps with the rank of captain, from 1916 to 1918, receiving the Bronze Medal and Miliitary Cross. Gio Ponti graduated with a degree in architecture in 1921 from the Milan Polytechnic, and set up a studio with the architects Mino Fiocchi and Emilio Lancia in Milan. Later, he went into partnership with Lancia (Studio Ponti e Lancia, PL: 1926-1933); then with the engineers Antonio Fornaroli and Eugenio Soncini (Studio Ponti-Fornaroli-Soncini, P.F.S.:1933-1945). In 1921, he married Giulia Vimercati; they were to have four children and eight grandchildren. From 1923 came his public debut at the first Biennial Exhibition of the Decorative Arts in Monza, which was followed by his involvement in organization of the subsequent Triennial Exhibitions on Monza and Milan. From 1923 to 1930 he worked at the Manifattura Ceramica Richard Ginori, in Milan and Sesto Fiorentino, changing the company's whole output. In 1928 he founded the magazine Domus. From 1936 to 1961 he was professor on the permanent staff of the Faculty of Architecture at the Milan Polytechnic. In 1941 he resigned as editor of the magazine Domus and set up the magazine Stile, which he edited until 1947. In 1948 he returned to Domus, of which he remained the editor until the end of his life. In 1952 he went into partnership with the architect Alberto Rosselli (Studio Ponti-Fornaroli-Rosselli, P.F.R. : 1952-1976); after the death of Rosselli he continued to work with his long time partner Antonio Fornaroli. 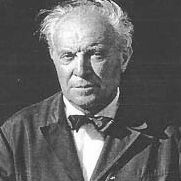 Gio Ponti died 16 September, 1979.